The initial consultation was friendly, on time and accurate. The work was done efficiently and surpassed our expectations! Thank you! You did everything you said you would do. You were on time and Miguel and Jorge were awesome. Jorge did a great job and everything we had on the bid was done to our highest satisfaction. From the first call, the service was friendly, efficient and extremely competent! What a pleasure! The whole experience from initial consultation to the job was professionally handled and communicated. I would highly recommend Jesus and his team to handle your grouting needs. Jesus, Jorge and Miguel all worked very hard to make sure they finished on time (we had house guests coming and were worried it would not get done). They were all very respectful of our time and made sure we were happy with the finished job. Everyone was very knowledgeable and professional. We are very pleased with the results! The service from beginning to end was stellar and the work completed looks great! I’d highly recommend. Our floors look as good as the day we moved into this apartment seven years ago. Very professionally done. We couldn't be more pleased. The only reason I didn't give you a ten is that "I just don't give 10's". Jesus always makes time for our tile cleaning project and we truly appreciate the good job his team does for us each time! Grout Medic is the most professional company I have hired to do work on our house in a long time. Harold and his team are delightful and hard working. The job is impeccable. I will 100% call them for the next time. My shower looks soooooo good. Thank you! Grout Medic is always professional and dependable. They have worked in our home on several occasions. They perform quality work and competitive prices! We highly recommend this service! Jesus is great to work with and the work is top quality! I loved the courtesy and professionalism of the people. Harold is amazing, the technician was very professional and the office staff is very cheerful. Would recommend you guys to everyone. It’s not often my expectations are exceeded but that was the case with my grout. It looks brand new! Thank you very much! Carlos restored my 45 year old tile to brand new condition and even more amazing is my "new" tile floor that I was ashamed to look at. Everyone at your company provided friendly, efficient service - I couldn't be more pleased. The service we received from Grout Medic was outstanding - from the office staff setting the initial appointment, to the consultation, to the service itself. Miguel, the technician who did the work, was excellent - he was prompt, courteous, and did a great job cleaning and sealing the granite, cleaning the shower tiles and replacing the grout. I would highly recommend Grout Medic. The results were amazing, they came at the time they said they would and it was more affordable than to tear out and replace of the counters. Carlos did a great job cleaning and sealing the tile and grout in our shower and two bathroom floors, and re-caulking the shower. Looks great! He was pleasant, professional, and cleaned up after his work. Professional, polite, fair pricing and excellent work. Henry was very nice to work with, does excellent work and was very polite and very respectful of the furnishings and the rest of our home. Also, the initial response was quick when contacting your company and Harold was very nice and helpful when visiting and giving me the estimate. I also appreciated the e-mails concerning confirmation, payment, etc. I would highly recommend your company. Both Jesus and Henry were very professional and polite. Henry did a great job and went above and beyond. I would use this company again. The shower looks brand-new! The guys were very professional and very very nice! Our shower has not looked this good since it was new. Huge shout out to Jesus and Jorge for their professionalism, punctuality and customer service. Great job guys! They have polite, personable owners and workers. Excellent work and no cleanup for us to do! I would refer anyone to your company. Great work on my 2 bathrooms. Excellent customer service from scheduling to completion of the job. AND the caulk lasted 5 years last time so I expect it will again. Professionalism both with the person giving the quote and the person who performed the work. Thanks. It was great working with Grout Medic. From the beginning to the end, they were efficient and professional. They cleaned and recounted a bathroom for us and it looks like brand new. Thank you to HAROLD and Freddy for a job well done. We will call again. Arrived on time. Miguel was courteous. Worked diligently. Cleaned debris completely. Grout repair was well done. We're very pleased. Not only was the work performed exemplary the customer service was outstanding. Freddy did an amazing job. He was friendly and professional. I am truly thrilled about the outcome. I really didn't believe it could look that good. When Freddy was done and asked me to come check it out he was proud of his work. He said, "I told you the results would make you pleased". He was right. If you ever need a referral I will be pleased to help out. Thanks. The guys were all very professional, and they did a fantastic job for a fair price. We really appreciated the attention to detail and honesty. Thanks again. Henry was very respectful and neat as he went about while completing the job. Good man. I have used The Grout Medic 3 times and have never been happier. Carlos was just here and the grouting looks fabulous! You always work very hard to make sure the job is done right. Very meticulous and thorough. Highly recommend! The tech that came to our home was outstanding! Went above and beyond what I expected. The results were more than I thought could be done. Thank you for a great job. Grout Medic was truly impressive. their work and their customer service was impressive. We thought our shower was so far gone that we would need to do a total gutting and replacement of all the tile, but they saved us!! I would definitely use again! Grout Medic returned my call immediately. Made an appt within a day. Gave a very reasonable free estimate and were working tirelessly on the job within days. The owner of the business is easily accessible and truly invested in his client's needs. Thanks to everyone at Grout Medic, and especially to Jesus and Miguel! You guys rock! I filled out the survey and will be happy to refer people to you when I have the opportunity. Keep well. It is a family business with a high degree of integrity and pride re: the work and services they provide. Appointments were made, kept and delivered what was promised. The contract was clear, fair and effectively addressed our needs. Every person I spoke with by phone or met in person was informed, courteous, skilled, knowledgeable and pleasant. The technician who actually did the work completed it superbly! The operator I first spoke and Jesus seemed friendly and competent. It looked as if they had a well established business and were part of the community. We were very happy with the work done by Henry. Looks like a new floor. George did a great job. We are really pleased with our "new" shower. He is a very good representative for you. As an employer I know how hard it can be to find people who work hard and act as ambassadors for your business. George is a keeper. The technician did a beautiful job in restoring the shower tile and grout. It looks brand new. A 100% upgrade from the way the shower looked before The Grout Medic. I started pricing out floors a few years ago because every time I looked at my not so old kitchen tile, it looked dirty and dated. Now, I not only like to look at my floors, but I am proud of them; they look new! The technician was so careful to not only clean each part but went over the grout color with me twice to make sure it was the best choice...and it was! My white master shower looks just as new as my floors after they worked on it. They also repaired tile as well. I waited a few months to write this review because that is the true test, time..and they are holding up beautifully as promised. The technicians were also polite, efficient, and clean which really matters; the entire thing took only one day. I would recommend them without hesitation! Thank you Jesus at Grout Medic! The person sent to perform the job was new and a little inexperienced but the owner is great and came back to ensure the project was done right and satisfactory. Harold is awesome. Good people, honest pricing, delivered on time and met expectations. Estimator on time, knowledgeable, resasonble estimate! Work performed on time and very surprised with quality of work! Floors look amazing! Harold and crew have done what they said they were going to do on time. And very professional with a quality job. We are very, very pleased with the work you did. [Henry] did a beautiful job... You've got a good worker there. Hector did a fantastic job. We were very happy with the level of service we received. I just couldn't be more happy with the job you all provided today. I wanted to call and let you know and thank you very much! I will definitely recommend your company as well as Hector to other folks. I appreciate it - thank you! Courtesy, professional work ethic, attention to detail and satisfaction of customer. Carlos did such an amazing job on our bathroom. It looks amazing. He was prompt, professional, and did excellent work! Great people that do a wonderful job. Very informative and the work was done quickly and done professionally. I would recommend this company to do my friends and family. Great job and a great group of people. Thank you. You promised, you delivered. I am very pleased. Your men worked hard and did a very good job. The grout in all three locations looks like new! Exceeded my expectations, THANK YOU. This is a 10 [out of 10 review] because it was largely work that was being redone. The first work done on our bathrooms wasn't the best and I wasn't happy. Jesus came out and reviewed everything and suggested ways to improve the quality and look of our grout. The rate reflected this and the rework done was GREAT! Sometimes there are problems to solve, and to us, the way they are solved shows the standards of the company. Things look much better now and I believe our grout will hold up better as well. Thank you! I am very pleased with the work Jorge has done with our tile. He is a wonderful person that took special care with his work. Great job. Thank you. Our bathroom tile shines and the grout job is like new. You have my vote of confidence. Thank you so much for making my showers look brand new. I really couldn't believe my eyes. I will be calling you again in the future. I just wanted to say how EXTREMELY pleased I was with the work that was done. If anyone asks me about grout cleaning, I will refer them to you first and foremost. I would recommend Grout Medic to anyone. On a scale of 1 to 10 they are a 15! Our two tile restoration projects are completed and we couldn't be more thrilled. They were completed quickly and professionally and in a matter of just a few hours at a fair price. What more could anyone ask! Carlos was a pleasure to have around. We are already telling all our friends. Thank you so much. I just wanted to take the time to let you know how pleased we are with the work Tom did yesterday! He did a great job! We were very pleased with the work completed on our shower on Sept. 9. Henry and Jorge did a fantastic job - they were very good people and did a great job and left no mess! They were very busy with the work and it was an amazing transformation. The shower looks brand new and is wonderfully clean and gorgeous! I felt like we got a great value out of this service. We are almost afraid to use our shower because we want to it stay as beautiful as it is now, but we are using it and it’s great! I actually wanted to ask if you have a type of cleaner that you would recommend or shower sprays that you recommend. In the past we used harsher cleaners and grout brushes to fight the mildew but I don’t want to damage the new grout now. Thanks again for your great work!! I would definitely recommend your company to others. I am extremely happy with the work that Henry did. Our bathroom shower/tub and tile shines! I wouldn't hesitate to recommend grout medic to my family, friends and neighbors. In closing I want to add that Henry was very courteous and professional. My wife and I went to the Denver home and garden show on February 7t stopped by the Grout Medic booth and talked to Jesus about having the tile in our master bathroom cleaned and resealed. Jesus came out on February 12th and gave us a estimate for the repair, cleaning and resealing. The price for the work to be done was completely spelled out in the estimate and we decided to have Grout Medic do the job. The work was was scheduled to be done on today February 16th it snowed all night last night and early this morning the technician arrived ready to do the work. He did a outstanding job the repairs are flawless and he even cleaned the tub and made sure that we were completely satisfied with the work before he presented us with the bill. There are a lot of companies in the Denver area that advertise that they can do the kind of work that we had done by Grout Medic but for my money Grout Medic went far beyond what they advertise and you would be hard pressed to find a company that lets the customer know that they are important to them. If you give them a call you won’t be disappointed. I want to thank you for your kindness and generosity. Samuel was wonderful! He was patient, thorough, and treated my house as his own. To say the least, this turned out to be an awful day for me, but I am thankful to have the work done (despite the barking dogs, my illness, etc. etc.!) I also appreciate having the basement tile replaced today as well. I have no hesitation recommending Grout Medic to anyone in the future. Jesus, the owner and Jorge, one of his craftsman of The Grout Medic have EARNED an outstanding review. We had a persistent small leak from our tiled shower. Jesus came out at no charge and quickly identified the problems, the solutions and gave us a very competitive bid. His business approach is refreshing and he projects a real confidence in himself and his employees and their ability to get it right. Jorge, who has been with the Company seven years was on-time, did wonderful work, re-grouted and re-caulked our shower and no leaks! After he was done, his clean-up was so good that you couldn't even tell we had any work done, except our shower looked brand new. Our strongest and most positive recommendations go out to Jesus and his crew. P.S: I emailed a pic to neighbor this morning and she wants to do her floors! Thank you so much for the beautiful and professional work Hector did on your behalf at our home yesterday. The shower looks new. He is an artist with grout. We can tell how much pride he takes in his work. His attitude and professionalism are outstanding. We will definitely recommend your company to our family and friends. Doug L. & Henry R.
Jesus, Please convey our gratitude and compliments to George for the beautiful work he did restoring our master bath today. It looks brand new. My husband had said he wanted our shower restored as his Christmas gift and now keeps commenting how impressed he is. We will definitely recommend your company to anyone we know who is looking for similar home improvement. Thank you! Jesus, Hector just left and once again I want you to know how impressed I am with his work. He never stops and the results are amazing. Thank you so much for getting this project done for me so quickly and beautifully. It looks terrific and our master bath tile is now refreshed! We also appreciate your respect for our home—no cleanup was necessary. Just to let you know Hector was here and did a great job. He explained everything he was doing, and is an asset to your company. Hector, You did an amazing job. It looks like a brand new bathroom. Thank you for your hard work! I will definitely call you in the future should we need help again. I am so happy with my "new" master bath. It is clean and absolutely lovely!! Hi - I just wanted to follow up and let you know how happy we are with the work that your crew did on our project. The fireplace and tub both look great, and the crew's cleanup job was incredible. Thanks again! Please be advised, we were extremely happy with Jorge’s work. He was a pleasure to have around and did a wonderful job. Thanks, the work looks great. We have used the shower and the new grout installed and the tile seems to be good. Thanks. Thanks Jesus for providing this. Henry did a great job last Saturday and we are very happy with the result. Thanks! Thank you very much! We are very pleased with the quality work performed. Hi, Carlos did a fantastic job restoring my tub yesterday. I am so glad. Thank you! Harold, Your team did an awesome job for us. Replacing the title in both the master and main bathrooms and refinishing the marble in the entry and power room was a big job with the potential of a lot of disruption and mess throughout our home. You team under your and Chris direction was very professional, and organized, timely. When they finished they clean up after themselves and left our home is great shape. I also very much appreciate the fact that the original bid was the final invoice without any surprise extra charges. It was a truly a pleasure to have Grout Medic in our home. Thank you for a job well done! Thank you! We are very pleased with the results of Hector's work. We have told our family and friends about you and will continue to spread the word. Thank you for the excellent customer service. I just wanted to let you know that your technician did an excellent job. We were more than pleased with the work he did - everything looks GREAT. We will definitely be recommending the grout medic to our friends. He called to say "Carlos did a great job. He was very professional and courteous. He cleaned up after himself. He is a very good employee. I have had a flooring business for 40 years and recognize a good employee. We will be using you again in the future! My husband and I are thrilled by the work that Ashley did for us yesterday. She came in with a smile and a fabulous attitude and patiently scrubbed away until the grout was clean. She helped us select the perfect grout sealer and it looks great. We had a large chip in one of the tiles and she artistically caulked it and we can’t even tell it is chipped anymore. We have lived in the house for 14 years and it looks like the kitchen floor was newly installed yesterday! George of The Grout Medic did a fantastic job! He was very meticulous and eager to please. My tub, showers, and floors look nearly new. I would highly recommend The Grout Medic. Thanks – the areas worked look great! I would to let you know that George did an excellent job. He is polite knowledgeable and efficient. It was a pleasure to have him do the needed work. Hector just left and he did a fabulous job. We are beyond delighted. He is such a great worker...Your color suggestions for the grout were spot on. What a pleasure to work with your company. Thank you! It was a pleasure doing business with you. Miguel did an outstanding job! We look forward to having you come and perform some more work for us. Thank you very much for your company's prompt attention to our service needs. We very much appreciate the professionalism of the entire chain of people in your company. 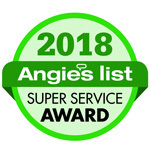 From your initial visit to our old and new home to the technicians that serviced our homes, to the front office personnel, we sincerely appreciate your attention to customer service. We will use your company again and have already referred a friend to you. Thank You for such a wonderful job. George was great and very professional. We will be calling you in the future for sure! Thank you so much! I never would have imagined how good my bathroom could look again! It has been restored to its original beauty. I will call on your company again! Thank you for a great job. My shower looks like new again! Miguel did a great job. Well done, he did a great job. Thank you! Henry did a great job and was very apologetic about being late. I appreciate the notice and the fine job he did. Thank you the floors look great! The job you did was extraordinary. I was blown away as I thought there was no hope for that bathroom. I will be calling you every time I need grout help. Thanks for your expert handling of my problem! I'll review you online! Thank you. Your workers did an excellent job. WE will not hesitate to use you again. Thank you! Everything looks fantastic & I will recommend you to my friends. Jorge did an amazing job!! It looks better than I could have imagined!!! I want to thank you and your team for the fabulous job on my tile floors. It looks like a totally different floor. Henry and Miguel were great to work with and are good ambassadors for your company. They kept me advised on everything they were doing, what I should do to keep up the appearance of the tile and cleaned up to where I could see no evidence they were here. I will be singing your praises to my clients and friends. Carlos showed up on time and did a wonderful job. Thanks for a job well done, as always. I just wanted to let you know how amazing my bathroom looks! Henry did a fantastic job! I will recommend The Grout Medic every time! Just wanted to thank you for a great job! Your employee was extremely professional and courteous! I will recommend your services to friends and associates. Miguel was very nice and professional, and he did a great job! You guys did an amazing job, I am impressed with your company and will refer you. Thank you so much for restoring my bathrooms. I am extremely satisfied with the work that was done and the professional staff who came to my home. I intend to put you on the Coventry neighborhood "recommended contractor" list and would be happy to provide references for further work. The showers look just grand! I have been telling people all about you. Thank you for your time! Since I was a little apprehensive about hiring a service to do the repair work, I expected a quick, in and out, collect the bill and move on experience. What I got was a technician who took his time, did more than I expected and the shower and floor turned out amazing. Thank you for completing the repairs work and far exceeding my expectations. I am so very pleased with the quality of your services! I am so delighted with my 'Grout Medic' experience. From scheduling the appointment to completion of tile cleaning, sealing, and caulking, my experience with Grout Medic has been stellar. The completed job was amazing and met all my expectations. I shall certainly use your services again as well as sing your praises to all my friends. Thanks Jesus...I appreciate the excellent work of your tech Miguel. He was extremely professional and courteous. We are pleased with the work. Jorge was very good, hard worker, and did an excellent job. Henry was good too. I even give Harold a 10 for his customer service, quote, and friendliness! Will recommend. Neighbors have already been over. Thank you! Thank your amazing team, Miguel and Henry, so much for cleaning and repairing my kitchen grout and tile and for caulking the bathrooms. Everything turned out great! I'm attaching the before and after pics. The areas around the fridge and sink are most delightfully improved! I think that those stains were either bleach or the heavy calcium build up from my over-calcified water. I'm very pleased with the work and with the professionalism of your services and team. Everything looks fabulous! Both Miguel and Henry took great care and pride in the jobs they did, and I think they are great! I'm definitely referring to others! I just wanted to write a quick follow-up email to compliment you on the excellent experience that I have had with Grout Medic. From the initial contact, efficient scheduling and follow up, reasonable quote and, most importantly, high quality work. George just left my home. My 30 year old shower looks brand new and my bathroom is cleaner than when the work was started. Please feel free to use me as a reference. I appreciate your commitment to quality and customer service. You all did a great job of grouting. I couldn't be more pleased with the way the shower looks. It is as if it was a brand new shower. Please let your men know that we appreciate them! It took longer than expected because of the wall repairs that they had to do, but the overall results are amazing. Thanks so much. Very happy with our project of kitchen counters and bathrooms! The technicians did a wonderful job, and we will call soon to schedule the next part of the project. I just wanted to drop you a quick e-mail to let you know how very impressed I am with Hector (crabby Paul is even impressed). Hector is very professional, polite, hard-working, and an expert at what he does. The bathrooms look brand new just like you promised. I would recommend both your company and Hector to any of my friends and neighbors. Just wanted you to know that Carlos did an excellent job and everything looks good. I appreciate you being able to fit me in so quickly. Thanks again! We were looking to replace our tile in our master bath and shower because the grout was so discolored and worn. I called the Grout Medic hoping to buy time and not looking forward to paying the crazy estimates I had received for replacement. Much to my delight and surprise my tile and grout looks like new and not even close to needing replacement Both Jesus and Harold were great to work with, on time, polite and most of all honest. I'd like to thank you for the great work cleaning up the two showers in my home. David and George arrived on time with all the tools and supplies they needed. They went right to work and took extra care to protect my home while they worked. They were courteous and kept me informed as to their progress. When the job was done the tile work looked like it was new. I am very happy with the results and the way your company took care of the job. I have been very pleased with the customer service and treatment that I have received from you,Renee, in the office and the techs that came to do the work. The day I called the office to inquire about your company and the service that you offer,I received a return call within the hour and the appointment was set up.Being in a customer service business myself this is so very important to me.The techs were very prompt! The job they did in the bathroom was outstanding the tiles look brand new like they just came out of the box.They did a great job in cleaning after themselves leaving no mess. I would recommend your service to anyone.I look forward to having you come and re-do the second bathroom. I would like to thank you folks for the wonderful job that was done on our shower and tub. When my husband came in all he said was "WOW". It looks so beautiful now. We will definitely keep you in mind for some more or our grout needs. Thank you! Henry did a very nice job, and we will no doubt keep you in mind for future projects! The gentleman you sent is truly the most professional & the best I have EVER had the privilege with whom to work! Tell how much he impressed me my father & my friend! Best wishes to you & your families for a safe, fun, pleasant & prosperous holiday season & 2012! Michael K. (Mike) Moore, Esq., Ph.D., Ed.D. I wanted to thank you for your time and attention to detail on this job. I just received an email from the builder explaining that the homeowner is happy with both the result and conscientiousness of your master technician. Thank you so much - Miguel did a fantastic job. I just wanted you to know how pleased we were with the service provided by your company. Both you and Jorge were very professional and pleasant to work with. The shower looks fantastic! We will definitely use Grout Medic in the future. I can't begin to tell you how pleased I am with our "new" floor. It looks wonderful! The onlything I regret is notbeing able to do it sooner. Carlos was great, too. He was very polite and professional. Great job! Hector and George did a great job. We are very pleased. You are welcome - thank you for the great customer service. I enjoyed meeting Jesus, and Jorge did a fantastic job in our bathroom. We will definitely recommend your service to others! Thank you. Carlos was wonderful. Very professional and cleaned up! Thank you for the service. I must add your three master technicians we're extremely professional, customer orientated and provided a quality job. I'm so impressed with the re-grouting and chalking. Thank you for everything. :) The bathrooms look great and I am grateful for your help. I just wanted to take a minute to tell you how professional your men were while working on our job. Everyone I was involved with at Grout Medic was pleasant, knowledgeable and respectful of our home. From the beginning when I called and was treated so well on the phone to the last thing of leaving the house cleaner than when they came. Thank you for making our experience a great one. Charles and I really appreciate the fine job that Hector did at our home. I discussed the colors with him when he arrived so he knew that I was a little nervous about the color selections. At lunchtime, Hector told me that I had the wrong product for the master bathroom countertop backsplash seam - grout, not caulk. We really thank him for his concern that the job be done correctly and last a long time, not just look cosmetically good. He also said that Antique White would really be a better color choice than Bright White for the shower floor. I think that these changes in color/product added some some extra time to his work day, but he really wanted the job to be right. It is so great to be delighted with Hector and the work that he accomplished at our home. Thank you so much for the beautiful work. Carlos did an excellent job. The floor looks brand new. I wish I had known about your company sooner. I'm putting you on my "got to" list for any work in the future. Working with your company was a pleasure! They were timely, courteous and did great work! Thank you and I am sure we will use you again. Your team did a wonderful job. We are very pleased. Thank you for caring about your customers and about quality. I am sincerely appreciative. Thank you very much for all your team’s great work! I was impressed with your company, beginning with the detailed and project based quote provided by Jesus before he left my home. You delivered exactly what he promised. Removing the epoxy grout was hard work and now we have our steam shower retreat back - without a speck of mold. Our gleaming chocolate marble counters didn’t look this good originally! The floor grout once again matches the clean look on the walls. As I told you before, you should be very proud of your company and staff. They do great work and we would recommend Grout Medic any day. Thank you Jesus to you and your company for such a great job!! My floors look amazing and so clean! And I can't even believe the shower! It looks brand new! Thank you to Jorge and Carlos did a great job and were super easy to work with! Thank you! Thank you so much for fitting in our cleitn on such short notice. Not only was the job well done, she was pleased with both of our high levels of service. Friend of the Family, and our other division Ready2Market will continue to call you for work! From the initial contact, efficient scheduling and follow up, reasonable quote and, most importantly, high quality work. George just left my home. My 30 year old shower looks brand new and my bathroom is cleaner than when the work was started. Please feel free to use me as a reference. I appreciate your commitment to quality and customer service. I was amazed when I got home - I actually did a dance! I will definitely hire you and have Henry come back for any other grout and tile work!